Angapradakshinam means "Savana pradashana on the floor around bangaru vakili or Annada Nilalyam" Another meaning rolling on floor around the temple with wet clothes. 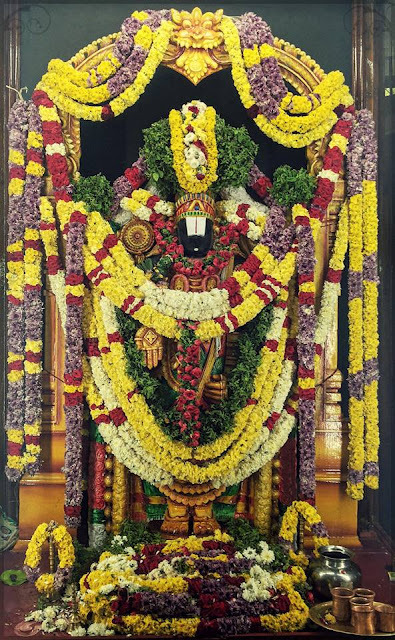 In simplely we can say that Angapradakshnanam is nothing but, we generally call in Telugu as "Prolludandalu" . For this we can take the tickets at CRO Office at Noon 02:00Pm and the reporting time is 01:30Am at the same night. 375 tickets for ladies and 375 tickets gents there are issued at CRO office. Gents can wear formal pants, no belts. Geans pants, track pants, 3"4ths, shorts are not allowed. Ladies can wear saress, chudidhars. Its a free of cost Ticket.